As the 2018-19 Premier League season drawers nearer Manchester United continue to be linked to a number of centre-backs. We had been widely-expected to bring in a new centre-back over the summer to partner injury-prone Eric Bailly as Jose Mourinho doesn’t appear keen in either Phil Jones nor Chris Smalling and Victor Lindelof didn’t adapt to the English game very well last season. Tottenham Hotspur’s Toby Alderweireld and Real Madrid’s Raphael Varane have been strongly linked but one name that has propped up a couple of times in recent weeks is AC Milan’s Leonardo Bonucci. The 31-year-old has only been at the San Siro for 12 months but following the Italian giants’ expulsion from European football for the next two seasons due to breaking Financial Fair Play rules, the Italian star could leave this summer. 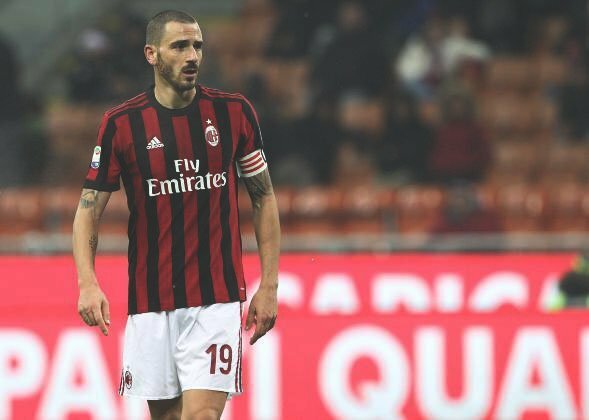 AC Milan need to raise around £45 million before the close of the summer transfer window and the Daily Express understand that Leonardo Bonucci is one player they would be willing to part with. As a result, Jose Mourinho is ready to take advantage of the Italian giants’ money problems with a bid for the centre-back. The report in the Express believes that will be around the £30 million mark. Despite his age the transfer fee seems reasonable given that Tottenham Hotspur are looking for £75 million for 29-year-old Toby Alderweireld and that Bonucci is one of the top defenders in world football. He won title after title as part of an impressive back three at Juventus before making the switch to Milan last summer. His experience would also be useful for teaching Eric Bailly.